This club is an innovative practice with which students are motivated and trained in research areas. The club was established in the year 2011-12 and consistently training the student for research methods and other alied areas. This club every year conducts workshops/seminars on verious human rights issues such as right to livelyhood, right to water, farmers susides. This year state level seminar was organised on the theam right to shelter. Students members of this club participate in the avishkar compitition organised by the university and maharashtra state as well. 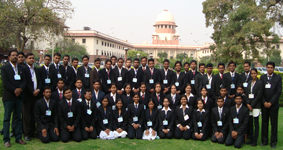 The institution has recognised research center in law affilited to the Dr. Babasaheb Ambedkar Marathwada University. Currently 10 student are persuing their Ph. D. in the center. 1. Dr. Aparna Kottapalle has completed 1MRP on the study of “Working of consumer forum in Maharashtra” which was funded by Ministry of consumer affairs Govt. of India through IIPA, New Delhi in the year 2013. 2. 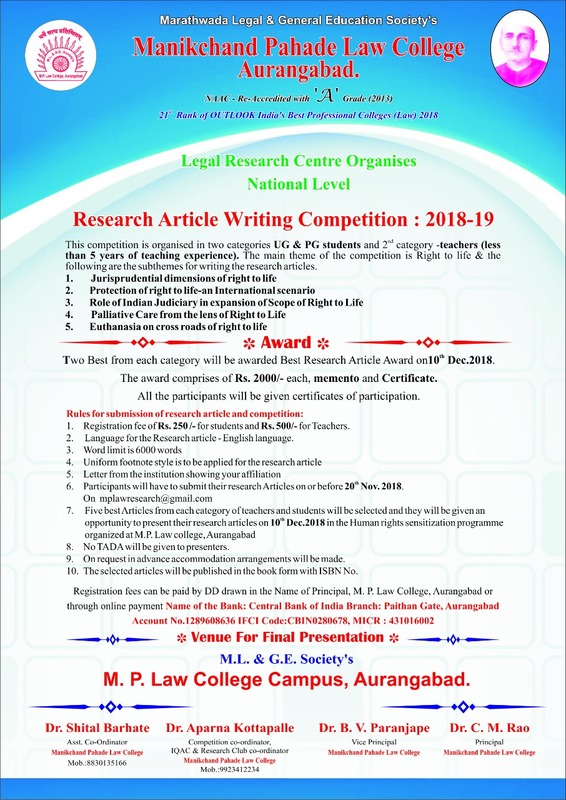 Dr. B. V. Paranjape, Vice principal has undertaken 1 Minor Research Project on “Study of public interest litigation in Maharashtra” in the year 2015 which was funded by UGC. The project work is in progress.